Make a complex idea into simple sales proposition. 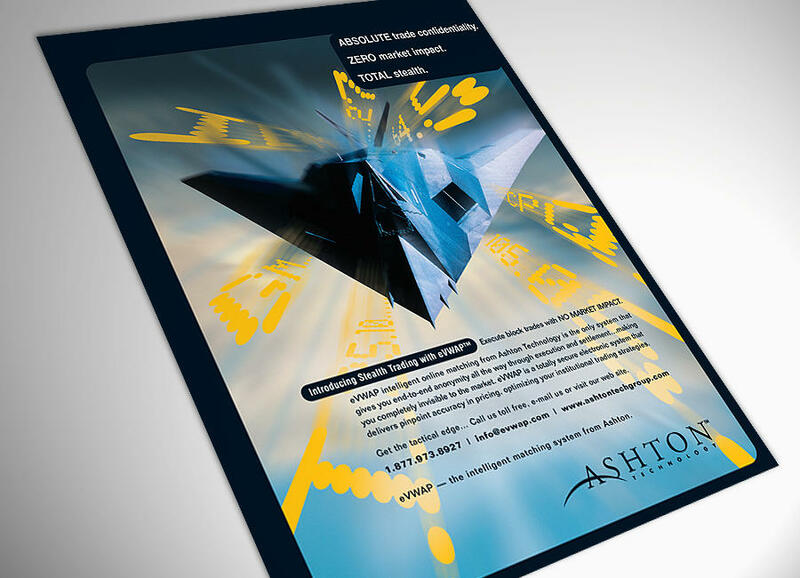 Targeting institutional traders, Ashton’s print ad campaign used a “stealth” metaphor to dramatize the benefits of this electronic equities trading system – total anonymity and elimination of market impact – making users virtually invisible to the market. Coupled with the system’s efficient execution, the stealth factor facilitated large-block trades without affecting price, a huge advantage. The campaign helped drive a 38% increase in Ashton’s revenues in its first year of implementation with another 29% increase the following year.